The dramatization follows the hunt for and capture of Adolf Eichmann by Israeli undercover operatives in Argentina in May of 1960. Rating: 3 stars out of 4. Conversations with evil lie at the core of “Operation Finale.” A dramatization of the hunt for and capture of Adolf Eichmann by Israeli undercover operatives in Argentina in May of 1960, the picture is a well-made spy thriller replete with scenes of secret surveillance, faked passports and hairbreadth escapes. Director Chris Weitz and screenwriter Matthew Orton have taken significant liberties with the facts of the incident, which played out in Buenos Aires where the fugitive Eichmann, protected by Argentine authorities, had been living under an assumed name. Those range from the invention of a composite female character who’s the lover of the main member of the abduction team, to the staging of a climactic escape with Argentine authorities in hot pursuit of the team as they race to the airport where an Israeli plane waits to fly them to safety. That chase never happened. Standard Hollywood-style gilding of the lily, in other words. 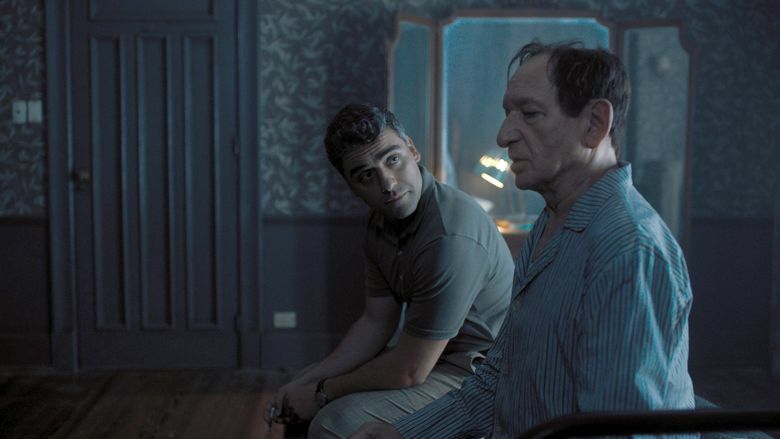 But it is the scenes in a Buenos Aires safe house between Eichmann (Ben Kingsley) and Mossad agent Peter Malkin (Oscar Isaac), the leader of the abduction team, where “Operation Finale” departs from usual espionage-movie scenarios. It’s in those scenes that evil speaks. It does not shout. It does not rant. Its tone is conversational. Its matter-of-fact quality chills. One of the chief architects of the Holocaust, and the only member of Hitler’s inner circle to be brought to trial in Israel, Eichmann doesn’t claim innocence but says instead, “I was only a cog in a machine.” He acknowledges being the one who made the trains to the death camps run on time. He is utterly unrepentant. He’s mass murderer as bureaucrat, a functionary, he claims, just following orders. As Kingsley plays him in one of the finer performances in the actor’s long career, there is no rage in Eichmann’s words. There is sly contempt for his captors, and a small smirk plays on his lips during a number of his scenes. Malkin, a man whose sister and three young children were exterminated (their demise is depicted in a series of speculative flashbacks indicating he did not know the specific circumstances of their deaths), regards Eichmann with a look of contained loathing and also a kind of curiosity. He wants to know what makes this monster tick. Their scenes together are fraught, particularly one in which Malkin shaves the captive with a straight razor as Eichmann talks in his conversational manner of his role in the Holocaust. The discipline Malkin exhibits in resisting the temptation to slice the man’s throat makes for a particularly memorable moment. The mission to keep Eichmann alive so he can face justice in Israel hangs in the balance. The mission did succeed, of course, and Eichmann was tried and convicted in a sensational trial in Israel and hanged in 1962. ★★★ “Operation Finale,” with Oscar Isaac, Ben Kingsley, Mélanie Laurent, Lior Raz, Nick Kroll, Joe Alwyn. Directed by Chris Weitz, from a screenplay by Matthew Orton. 126 minutes. Rated PG-13 for disturbing thematic content and related violent images, and for some language. Opens Wednesday, Aug. 29, at multiple theaters.